Winter Bookings are now available. Please remember to buy your parking permit in advance or on arrival. Also note that Parking Permits are no longer free for those over 65. Parking is free for that day if you arrive on the mountain after 3pm. Look out for the new and improved parking signs. This week has been particularly cold. If your vehicle uses diesel, don’t forget to either use an additive or fill your tank (ideally 80% or more), with Alpine Diesel. All vehicles must carry snow chains. Vehicles must carry Diamond pattern snow chains, not “Ladder” or “Spider” pattern. 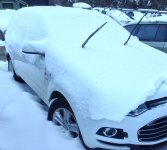 Please ensure that your snow chains fit your car correctly. The APEA Ski Club was formed in 1974 by members and friends of the Association of Professional Engineers Australia. The construction of the Ski Lodge commenced in 1975 and the first stage was completed for occupancy for the 1976 ski season. The building has had numerous additions over the years. In 2002 major renovations took place to improve the living, sleeping, kitchen and dining areas and the general appearance of the lodge. The architect designed lodge offers spacious living and lounge areas, heated throughout for maximum ‘après skiers comfort for members and their families and friends. The lodge being situated on the high side of the Great Alpine Highway (opposite the Blue Ribbon Chairlift) offers breathtaking views of the surrounding mountains.